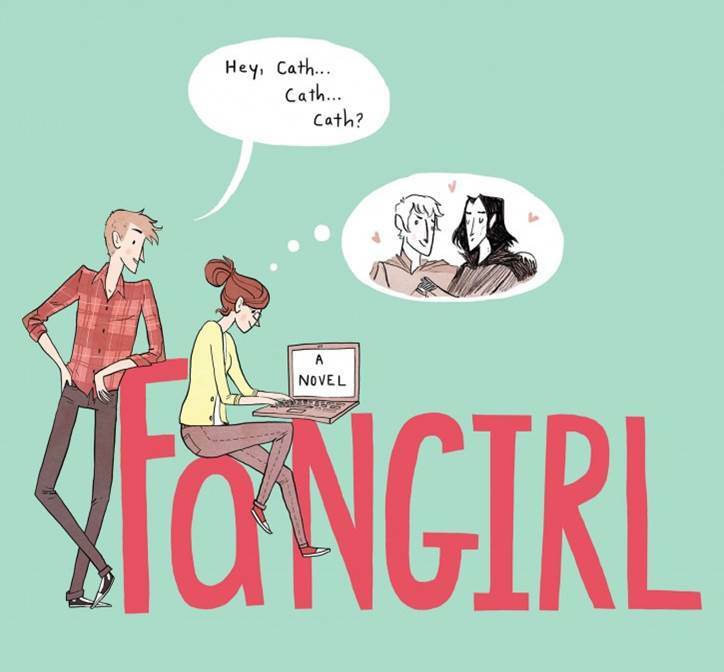 Fangirl by Rainbow Rowell came out a few months ago and has since been seen by myself everywhere, and rightfully so, in my opinion. With a name like Rainbow, it has to be great, right? When I first saw Fangirl while embarking on one of my favorite past times (absentmindedly searching for new books to read despite having unread books at home and then proceeding to reread other books instead of the ones I’ve just purchased) at Barnes and Noble, I found myself both excited and anxious. This “Rainbow” person either got this fangirl thing really right or really wrong, and there was only one way to find out. Turns out, upon reading the summary, it seemed pretty interesting, and so found a place in the stacks of books in my arms. It took me precisely a week to read all 433 pages – and with my schedule, that’s saying something! The book is about Cath (short for Cather) in her first year of college. Her twin sister, Wren, has decided that college is the time for the two of them to grow apart and experience different things. Cath isn’t really fond of the idea, but goes along with it anyway; after all, she still has her Simon Snow fanfiction, and she’s pretty good at it, too. As the year goes by, Cath befriends her roommate Reagan and her best friend Levi, and they show her how college can really be – while still respecting Cath’s boundaries… for the most part. Throughout the book, the reader watches Cath grow and come out of her introverted and full-of-anxiety shell while still remaining true to herself. The characters are phenomenal, and the bits of Simon Snow passages from books and fanfictions are as well (and I know good fanfic from bad). The entire novel is fast-paced, which is why I couldn’t put it down in the duration of my reading time and probably why my Algebra teacher taught the class via iPad while standing near my desk (sorry Mr. Price!). Other books by Rainbow Rowell include Attatchments and Eleanor & Park. While I know absolutely nothing about the first, the latter is about two star-crossed lovers who – in all actuality – aren’t all that star-crossed. Fair warning, though: the friend of mine who is reading it currently (her sister is friends with Rainbow! Is that cool or what?) said it got a bit sad. Sad how, I of course don’t know. You’ll have to find that one out for yourself!